SC concerned over poor upkeep of Taj. The ivory white marble mausoleum is a Unesco World Heritage Site. 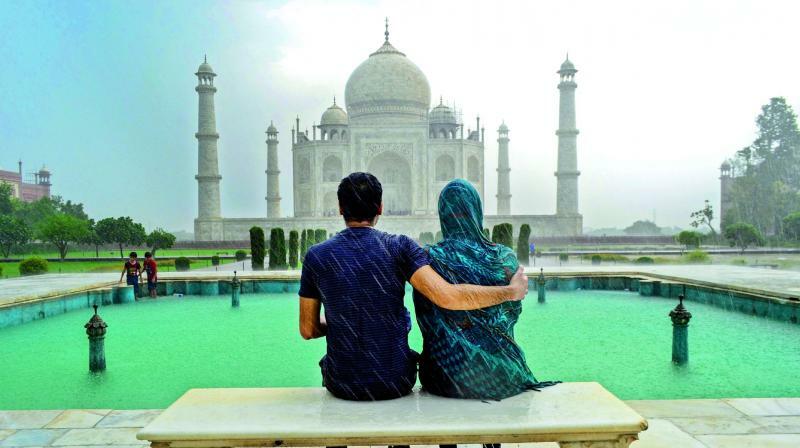 New Delhi: The Supreme Court on Wednesday said protecting Taj Mahal has become a “hopeless cause” and slammed the Centre, Uttar Pradesh government and the Archaeological Survey of India for their apathy in protecting the monument from pollution. The Bench pulled up the Uttar Pradesh government for its failure to come out with a vision document to preserve and protect the Taj Mahal. The Bench pointed out that no concrete steps have been taken by the government, despite a parliamentary standing committee report on Taj’s protection. It directed the Centre to furnish full details of the steps taken and action required to be taken for protecting the iconic monument. On behalf of the Centre, it was submitted that the Indian Institute of Technology, Kanpur, was assessing air pollution level in and around the monument and will give its report in four months. It said a special committee has also been set up to find the source of pollution in and around the Taj, which will suggest measures to prevent it.